Whoops, I completely lost track of time yesterday, working, arting, etc. 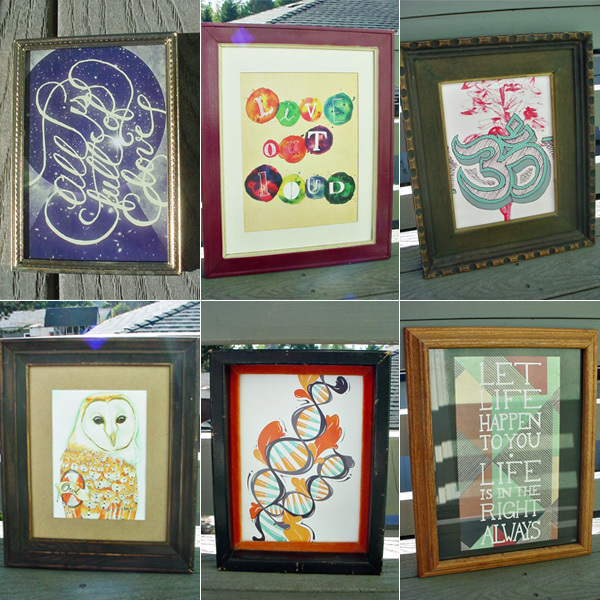 Fun stuff over in our shop: ready-to-hang framed prints! We’ve been collecting vintage and antique frames for a few months. We pick out our favorites, clean ’em up, possible paint them, and match them up with a print. The results, I think, are fantastic! It really completes the print, and every one is unique! Let Life Happen… – Natural Wood Framed Print.